St. Charles Borromeo. 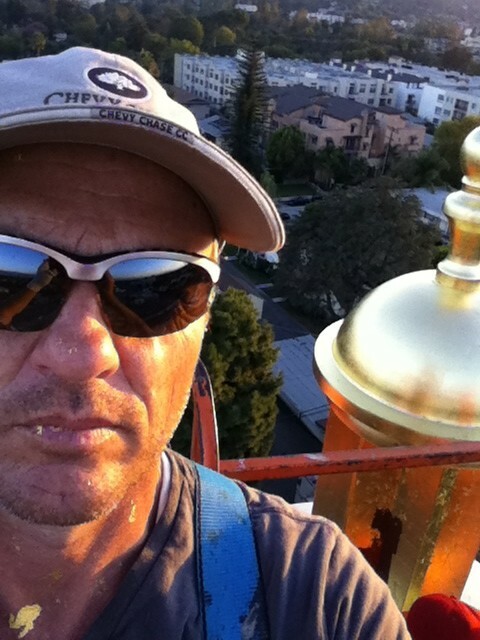 Exterior gold leaf. 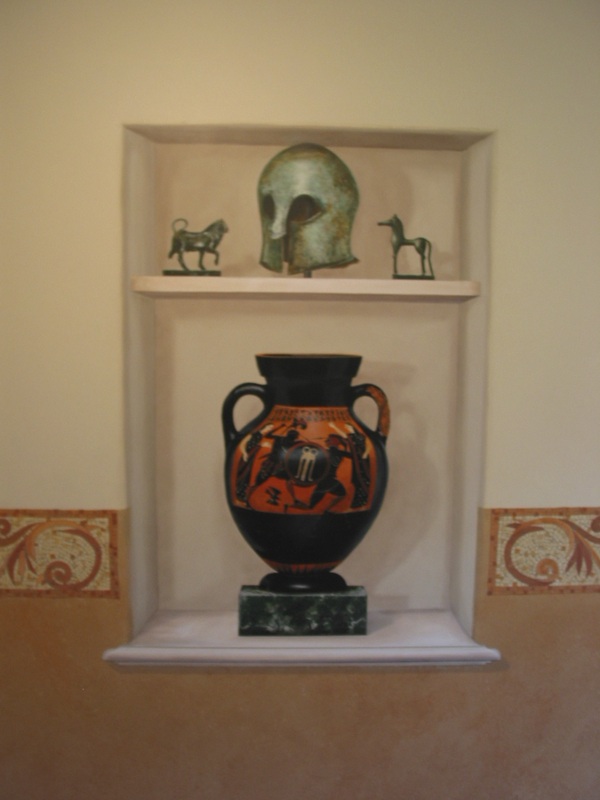 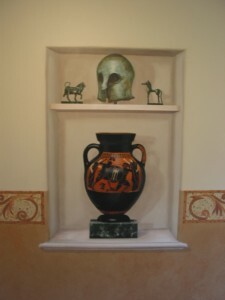 Painted Greek antiquities in a trompe l’oeil niche. 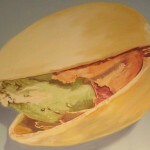 Painted on a flat wall.